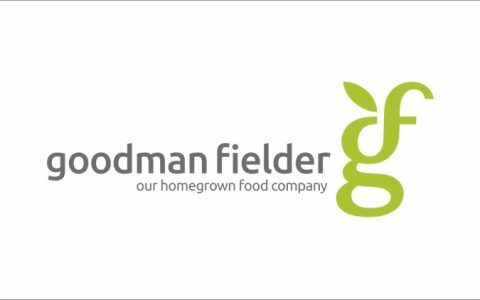 Goodman Fielder Group is a top 150 ASX-listed company with over $95 billion in assets, 16,000 employees and relationships with over seven million customers. The Home Ingredients division had experienced significant growth in previous years, and was now looking to ensure that its growth was sustainable into the future. TAP was engaged to help the Managing Director and top 50 leaders to develop a shared sense of purpose, get clear on each leader’s individual contribution, and to increase the individual and collective effectiveness of the organisation’s most senior leaders in pursuit of that purpose. Our work together began by developing a compelling purpose and testing it for commitment, capability and capacity. We then focused on applying leadership strategies with each leader, and the senior leader group as a whole, to shift from an ineffective leadership impact to one that was measurably more effective. Using the recently published doctoral research of Dr. Peter Fuda on leadership transformation, we designed and delivered a multi-dimensional approach to change based on measurement, regular team, small group, and 1-1 coaching sessions. Finally, we operationalised all of this work for each leader in the form of a personal leadership scorecard. The scorecard created a direct connection between the organisation’s purpose, each leader’s individual contribution, and the behavioural shifts that each leader was committed to making. The leading indicators of performance tell a very compelling story of transformation. A third party 360 degree measurement of leadership effectiveness evidenced dramatic improvement across the entire senior leadership group, with the most dramatic and significant shifts achieved by the Managing Director himself. As a leadership group, the overall team shifted from the bottom 10% of effectiveness in a global database, to the top 10% of leadership effectiveness in the database, in just 12 months. We finished our work together by putting capability inside the business in order to sustain the increase in leadership effectiveness and business performance. TAP have enabled us to shift from a passive culture to one where our top 30 leaders have taken ownership of the business. We now have much greater accountability among our most senior leaders, and also much higher levels of trust. This has enabled us to maintain strong financial performance in an extremely tough commercial environment, and has us poised to explode our growth in the years ahead. The service we receive from TAP is brilliant. They are obsessed with delivering on outcomes, confident in their approach, and demonstrate respect for the individual – I don’t know what they could do better. But what is really unique about TAP in my experience with consultants is that they give more than they take. TAP is not for everyone – only those who want to learn and excel. In a very tough environment, our partnership with TAP has proved the best investment we have made.